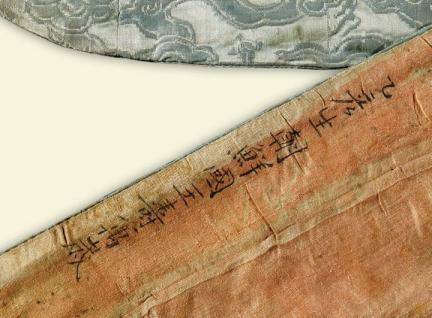 조선시대 광해군(재위 1608∼1623)과 그의 비(妃) 유씨, 그리고 궁중의 정5품 상궁이 입었던 의복 4점이다. 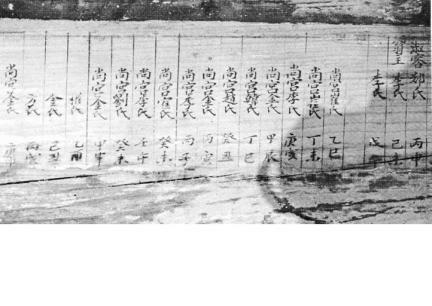 1965년 해인사 장경판고(藏經板庫)를 수리할 때 남쪽 지붕 아래 구멍에서 건물 완공에 대한 기록과 상궁의 이름이 적힌 명단이 이 의복들과 함께 발견되었다. 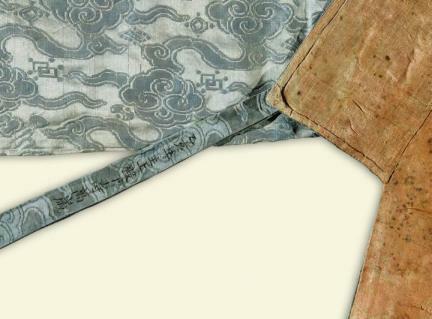 발견된 의류는 담청색 직령 1점, 백삼 1점, 홍삼 1점, 자주저고리 1점 등 4점이다. 이 의복들은 재봉질 못지 않은 정교한 바느질 솜씨를 보여주고 있는데, 당시 세련되었던 바느질법의 한 단면을 보여 주고 있으며, 조선 중기의 의복 습관을 잘 나타내고 있어 복식 연구에 중요한 자료가 되고 있다. 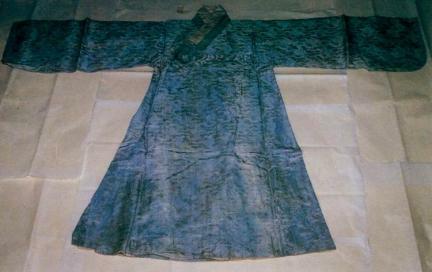 These clothes were worn by King Gwanghaegun (r. 1608-1623) of the Joseon Dynasty, his queen consort, and a court lady. 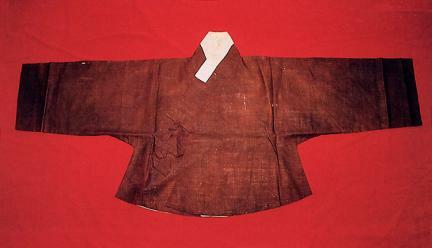 When the Janggyeongpanjeon Depositories of Haeinsa Temple were repaired in 1965, a light blue men’s coat with straight collar, a white jacket, a red jacket, and a purple padded jacket were discovered in a hole under the southern roof of the building, along with records about the construction of the building and a list of names of court ladies. 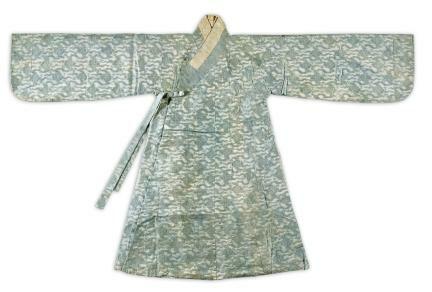 The clothes display refined needlework, and provide important information on the characteristics of the dress culture of the mid-Joseon Period.